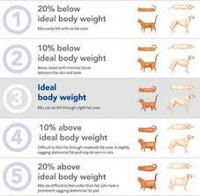 Body Condition Score For Pets--How Do You Know if Your Pet Is Overweight? 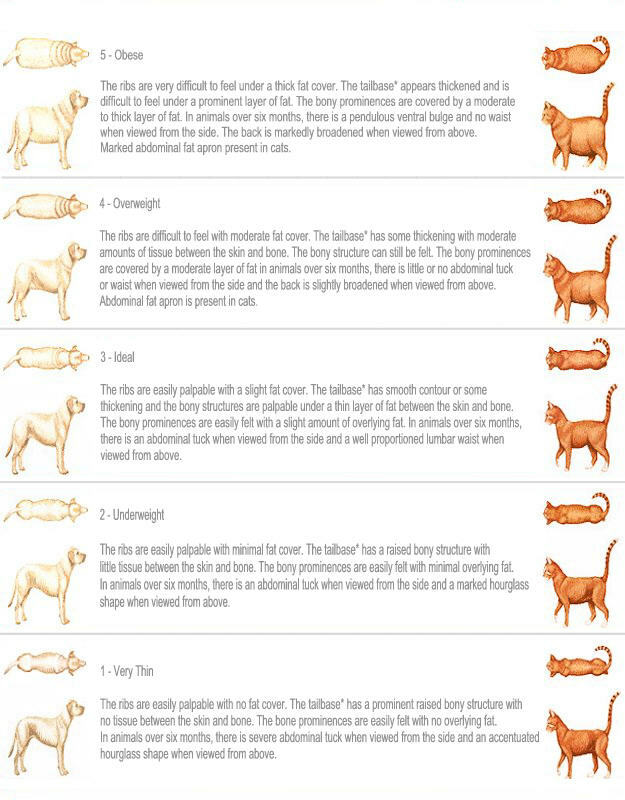 Take a look at the chart below and compare it to your pet. This will give you a general idea of whether or not your pet is under or overweight. If your pet is overweight, reduce the amount you are feeding your pet, even if it is less than what is recommended on the bag. Every pet's metabolism is different and many times pets need substantially less than what is recommended on the product bag. how to tell if pet is overweight , is your pet overweight?